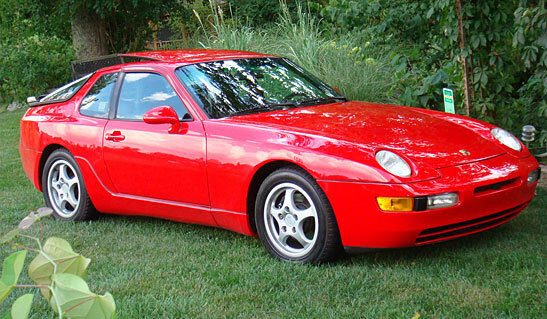 The Porsche 968 is a direct successor of the Porsche 944. It adapts a lot of qualities from the 944 like the GT front engine, rear wheel drive and the rear transaxle. All these parts give the car an undue advantage of weight distribution giving it more balance on the road. The car is a true head turner in its real essence and the beauty of it clearly comes from the beautiful lines and the classic shape with a low nose line. The best feature which is in much demand until today is the hidden head lights. However this much demanded feature has been replaced with the visible headlights that pop up in the Porsche 968. The new version is some what trying to bring back the looks of the 928 and trying to align it with the newer 911. However having the pop up headlights has found new acceptance among car drivers because the car headlights also get washed along with the rest of the car. The interiors of the Porsche 968 have remained the same for the most part. The most popular interior feature the Oval dash has been retained. The interiors have been made with the same robust material that Porsche has been using for years and that is what gives it the durability. When it comes to the engine the Porsche 968 sports a sophisticated 4 cylinder, 16 valve and 3L engine. Also included under the bonnet are the all alloy, variocam, and this in combination provides performance and the car derives the speed from these parts. The combustion chamber has been improved and the engine specifications remain at 240 HP for 6200 rpm and the torque has been extended to 305 Nm at 4100 rpm. When the Porsche 968 was under production the engine had the highest of all in quality for displacement cylinders. However this was equated by all the competitors and by the time the car was released it was not a specialized feature anymore. The Porsche 968 has put in a lot of effort in the engine and the result speaks for itself. The gear box is mounted on the rear and it is either a 6 speed manual gear box or a 4 speed triptronic. He trip tronic is a new technology developed by Porsche and Bosche which is made to combine some of the best qualities that suit the manual driving needs in open highways and also the automatic gear box for town driving. This gives the option for the driver to harness the power of the car based on the driving conditions. The best feature of any Porsche car is the brakes which many manufacturers have tried to covet. It is envy for many of the road and sports cars. At high speeds many sports car brakes fail or give away and this never happens with the Porsche and one can be sure of that. You can take a bend at the highest speed and still be sure that the brakes of your Porsche 968 will not give away.